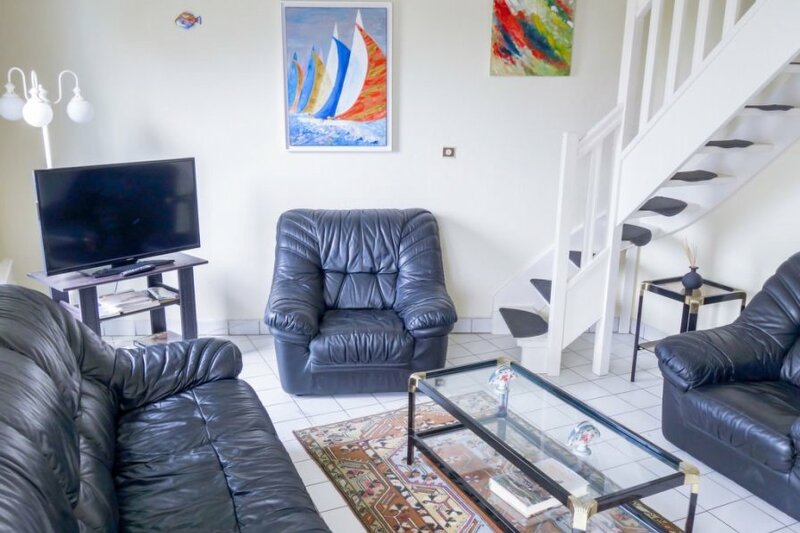 This 2 bedroom apartment with swimming pool is located in Rotheneuf-Le Pont and sleeps 4 people. It has WiFi, a garden and garage. The apartment is within walking distance of a beach. Les Rochers Sculptes 1.4 km, Musee Jacques Cartier 2.1 km, Le Grand Aquarium 7.8 km, Cancale 12.4 km, Dinard 15.6 km, Mont Saint Michel 58.7 km.. The agent describes this apartment as an ideal holiday rental for a cheap holiday. It is also good value for money. The apartment has a swimming pool and a sea view; it is also located in Rotheneuf-Le Pont. The nearest airport is 78km away. It is set in a very convenient location, just 150 metres away from a beach. The apartment has free wireless internet. You can also park in the garage on-site at no extra charge. The apartment is well equipped: it has a dishwasher, a microwave and a washing machine. It also has a balcony, a garden and a tennis court.